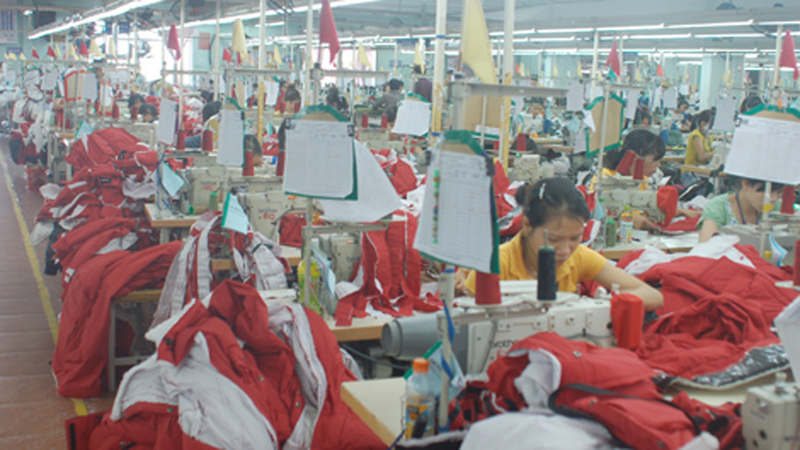 The LGG which has been separated from Bac Giang Garment Corporation Joint Stock Company hit an export turnover of 130 million USD in 2018. This year, it targets at boosting up the export to the markets of the USA, Japan, Korea and Europe so as to reach the export value of over 150 million USD, create the jobs to 4,500 laborers with an average income of 7 million VND (over 300 USD) per person per month. Also at the first day of the new year, many other local enterprises planned to export several commodities of electronic components, garment and textile, automotive spare part and etc, totally valued at millions of USD. The Customs Office Division controlling the provincial industrial parks has arranged the human resources and created the favorable condition in customs clearance to meet the above-mentioned demand. The export turnover of the garment-textile sector reached nearly US$ 8 billion in the first quarter of 2018, an annual increase of 13.3 percent. The Vietnam Saigon Textile and Garment Industry Expo 2018 (Saigon Tex) opened in Ho Chi Minh City on April 11, bringing more than 900 exhibitors together from 27 countries and territories around the world. (BGO) – Tin Phat Trading Export Import Joint Stock Company (Tin Phat JSC) in Lang Giang district, Bac Giang province has invested nearly 5 billion VND (219,500 USD) to 5 automatic garment lines with German technology.